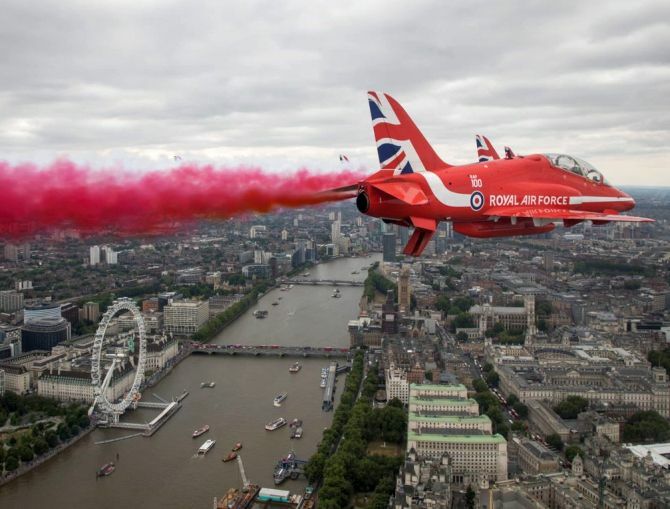 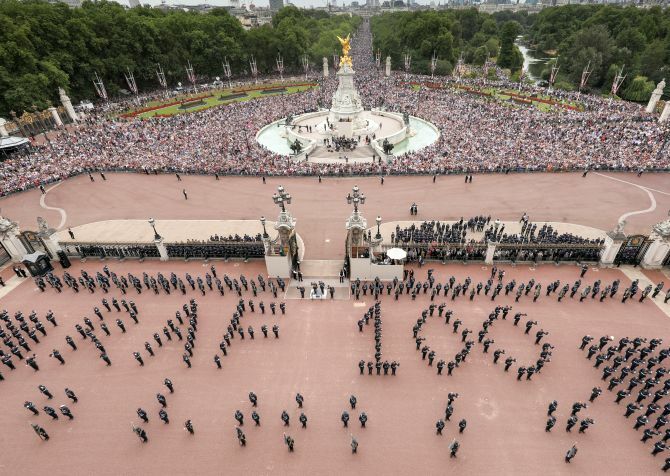 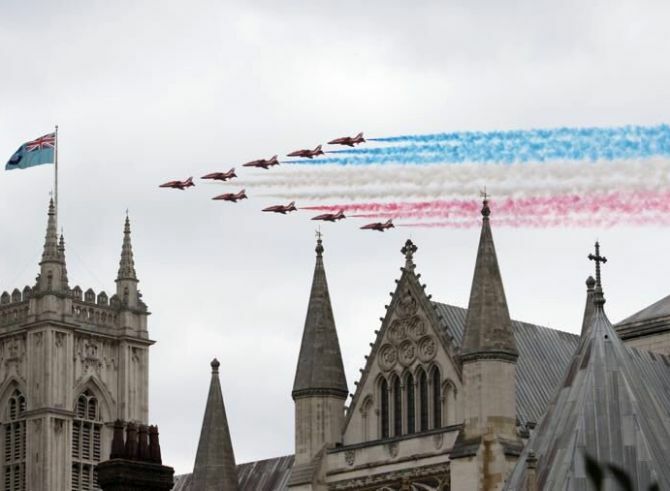 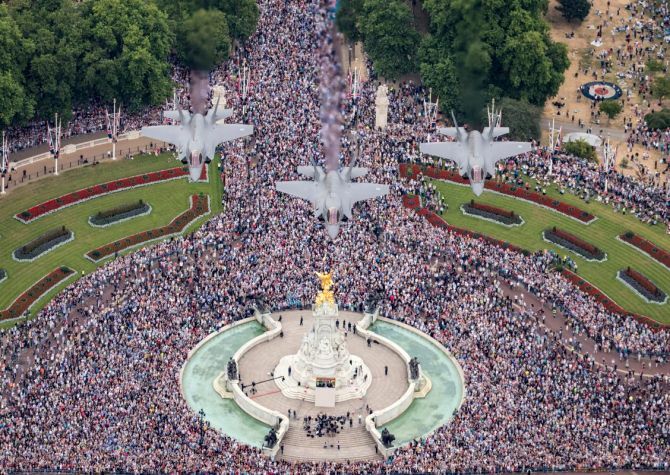 Britain’s Royal Air Force on Tuesday celebrated its centenary in London with its biggest military display. 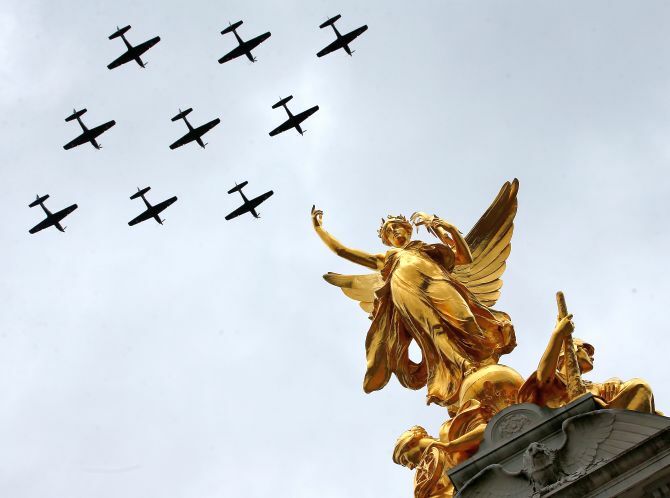 It was on April 1, 1918 that the Royal Flying Corps and the Royal Naval Air Service merged to create the RAF -- the world's first independent air service. 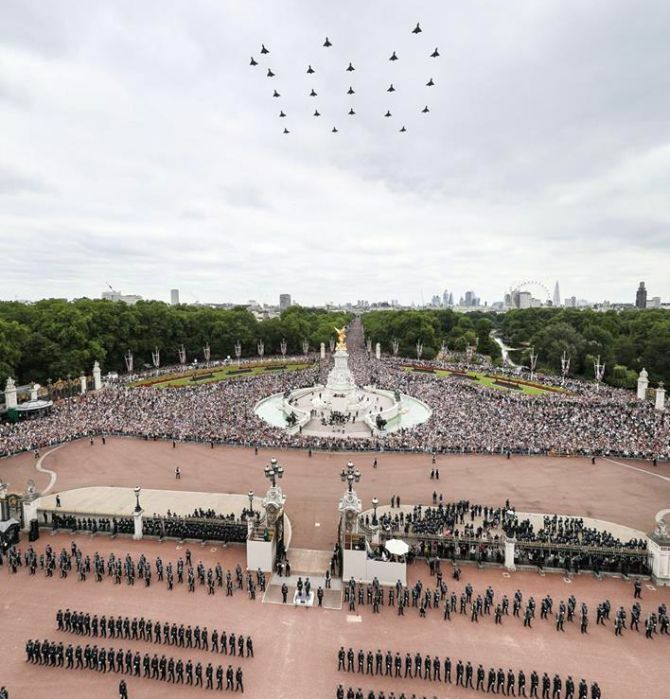 Almost 100 planes representing the RAF over the years flew over The Mall following a parade by personnel. 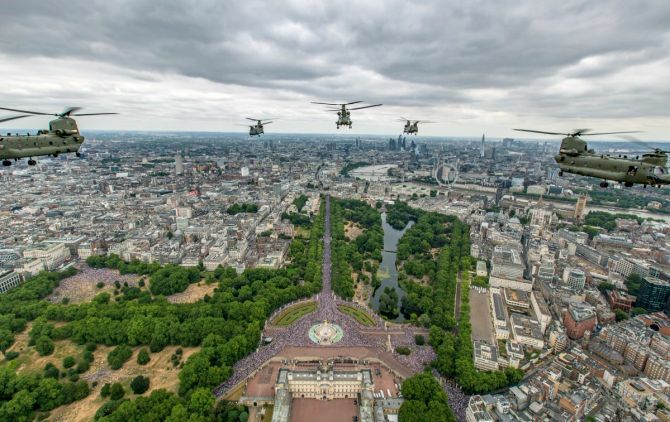 The flypast marked the largest concentration of military aircraft in recent memory, including WWII planes. 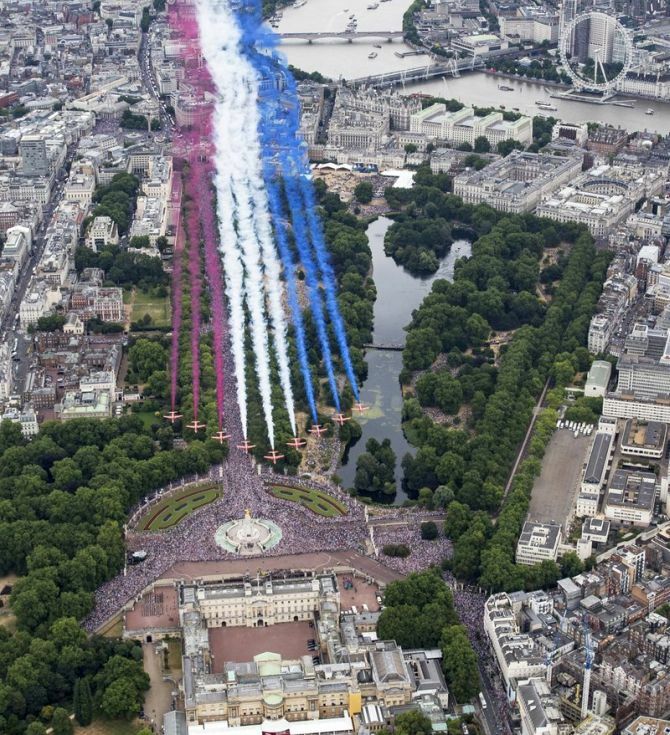 The royal family gathered on the balcony of Buckingham Palace, along with thousands of supporters, to watch the display. 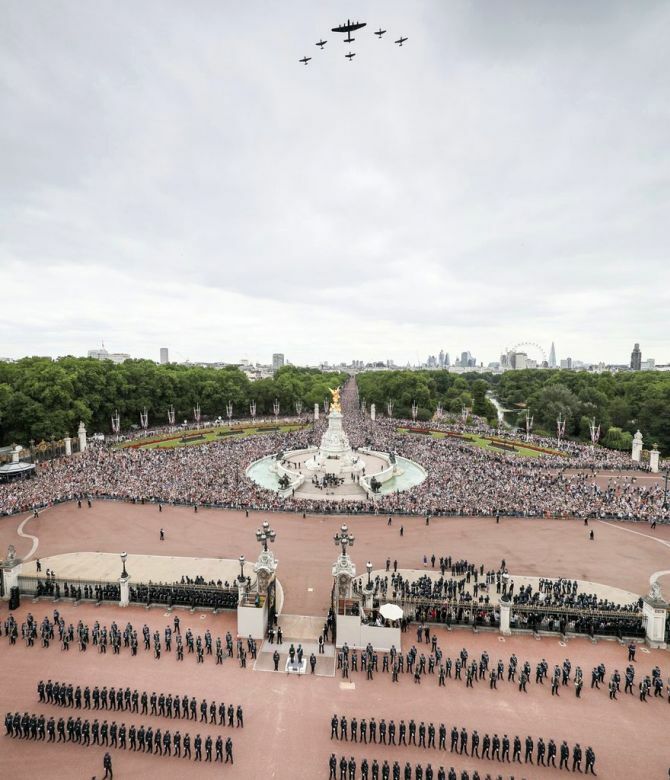 Here are some of the glimpses of the show.